We sure love our peanut butter up in this house. Seriously, the lion only wants peanut butter and jam sandwiches for lunch on weekends. I think because he can’t have it at daycare throughout the week so he goes nuts (no pun intended…I swear) and demands those tasty little pockets be eaten all weekend long. Hey, at least he’s predictable. I was out doing groceries and went to buy the brand of peanut butter I normally buy and then SNAP, I noticed it went up in price like…mega big time. Had I been buying it on sale all this time? Is there a world shortage of peanut butter? What the heck was going on?? 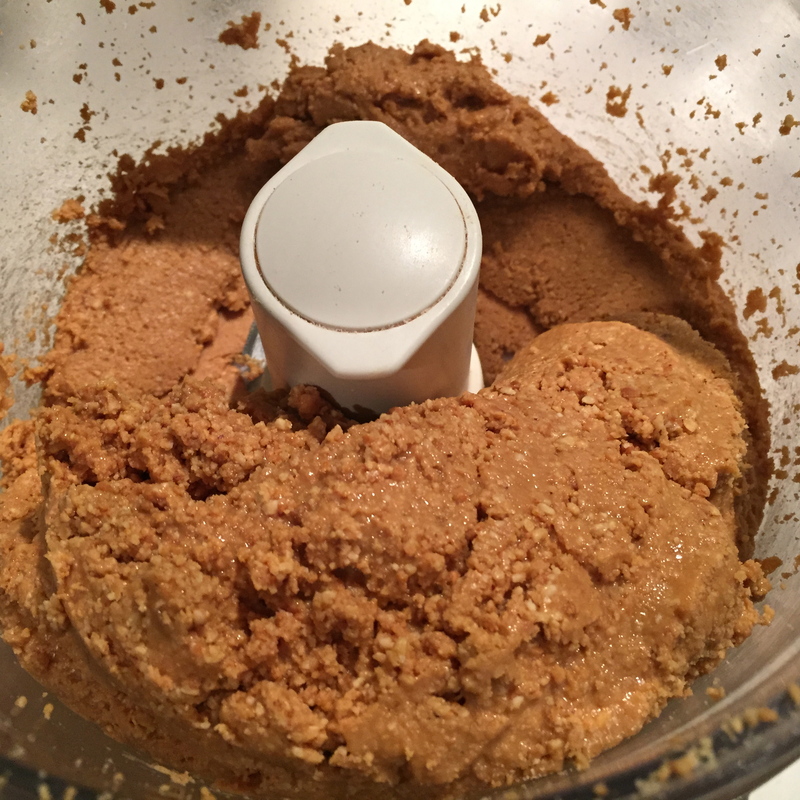 Now, I like to buy a natural peanut butter when possible because I don’t want all the extra sugar and/or other stuff in there…I just flippin want peanuts…In like spreadable form. Peanuts are delicious on their own…why mess em up?? So as I am standing there in the aisle, staring down at all of the varieties of peanut butter I have visions of the lion losing his mind if we ran out of peanut butter but out of principle…I am not flippin paying 9 bucks for peanut butter. 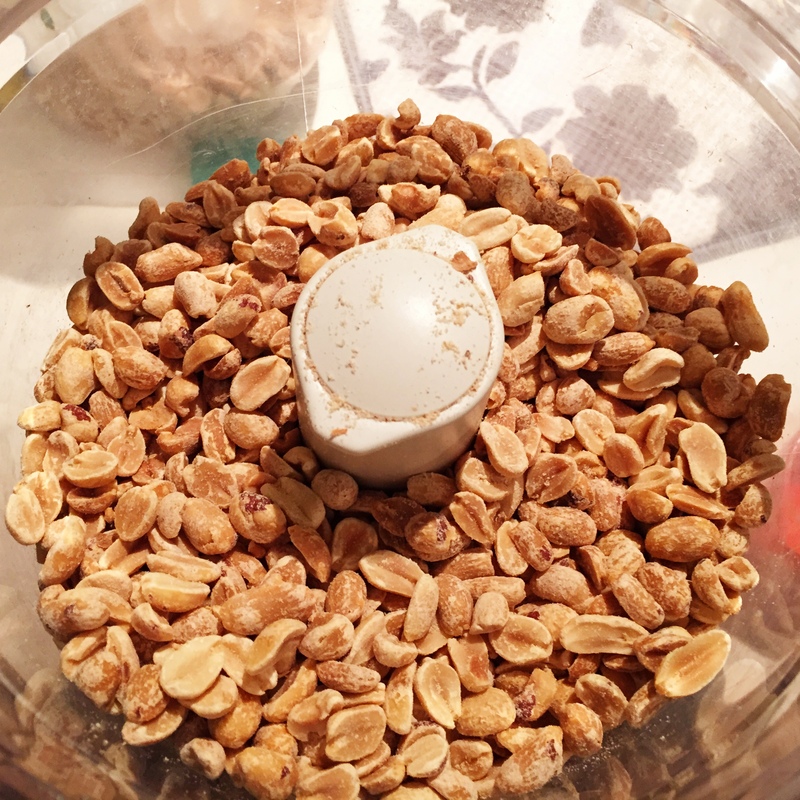 Then it dawned on me “I just flippin’ want peanuts”…I will make my own!! 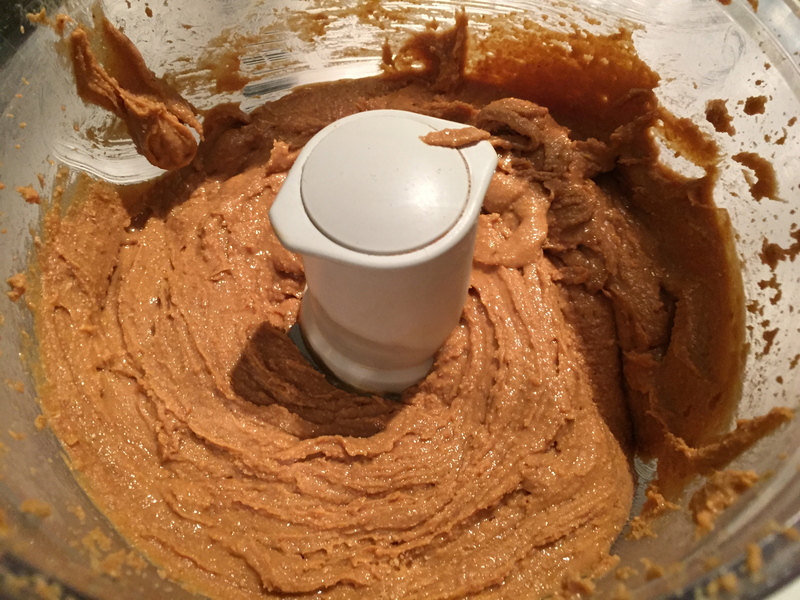 Take that you nutty little punk…I’m off to the bulk section of the grocery store and i’m going to make my own damn peanut butter. Yup…there they were, a big ole bin of dry roasted peanuts for the price of literally…peanuts!! Why when you add the word butter after anything does it cost like a million times more than the other food?? 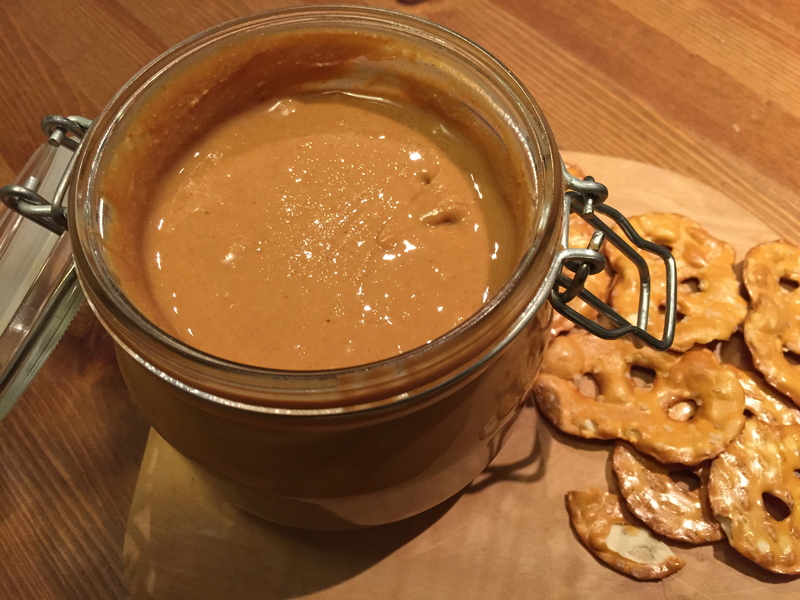 Apple Butter, Cookie Butter…just sayin’. So I bought peanuts and got the rock outta there. I figured it would be fun to make some Peanut Butter with the little man and he would probably think it was cool. Okay so you are going to snap when you find out just how easy this is!! 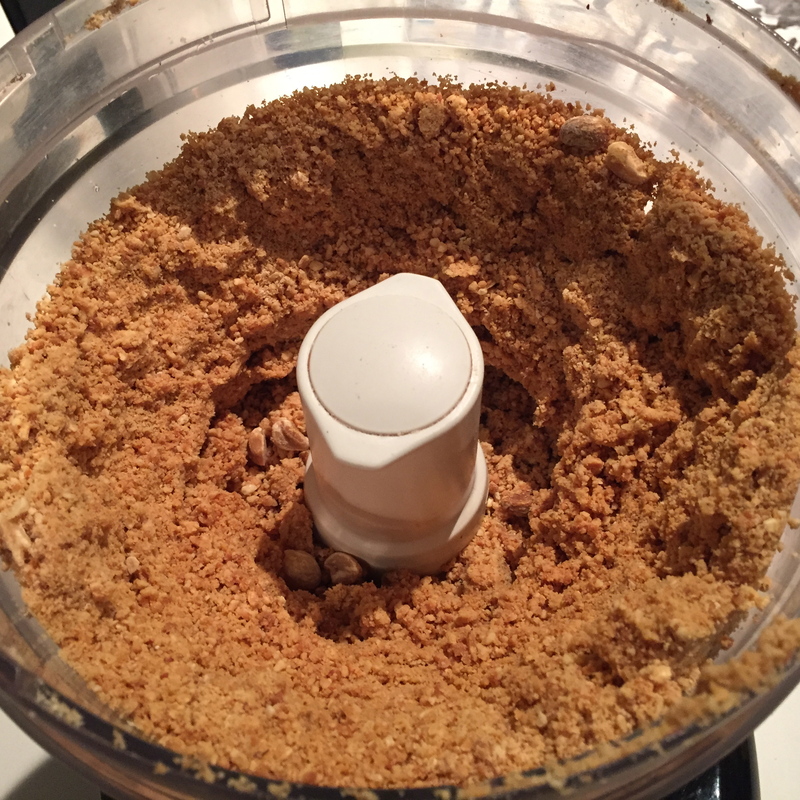 Get out your food processor and put 5 cups of roasted peanuts in the bowl. Press the on button and let the games begin. Here we go, it’s starting to chop and we have some crushed peanuts. 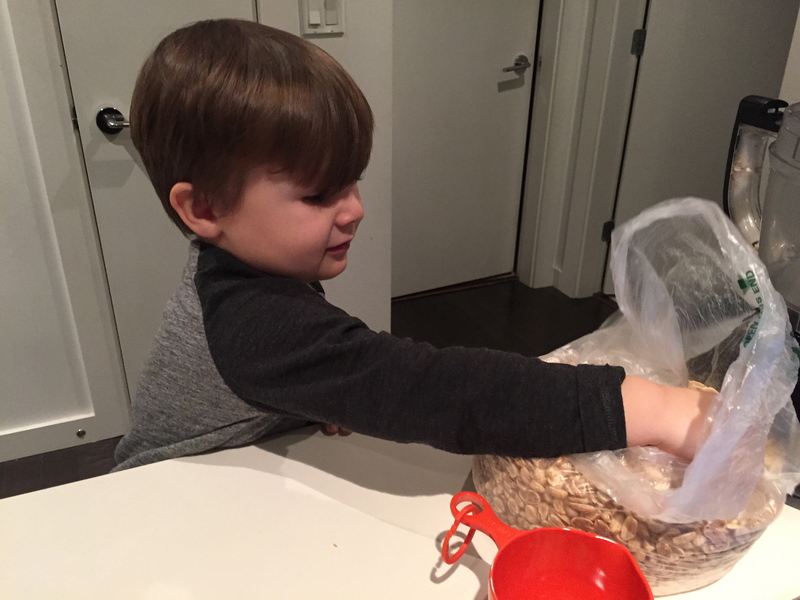 Wait..we have a little peanut thief!! Then it goes through a phase where it is starting to look like a big dry clump of peanuts and you may be doubting your skills. 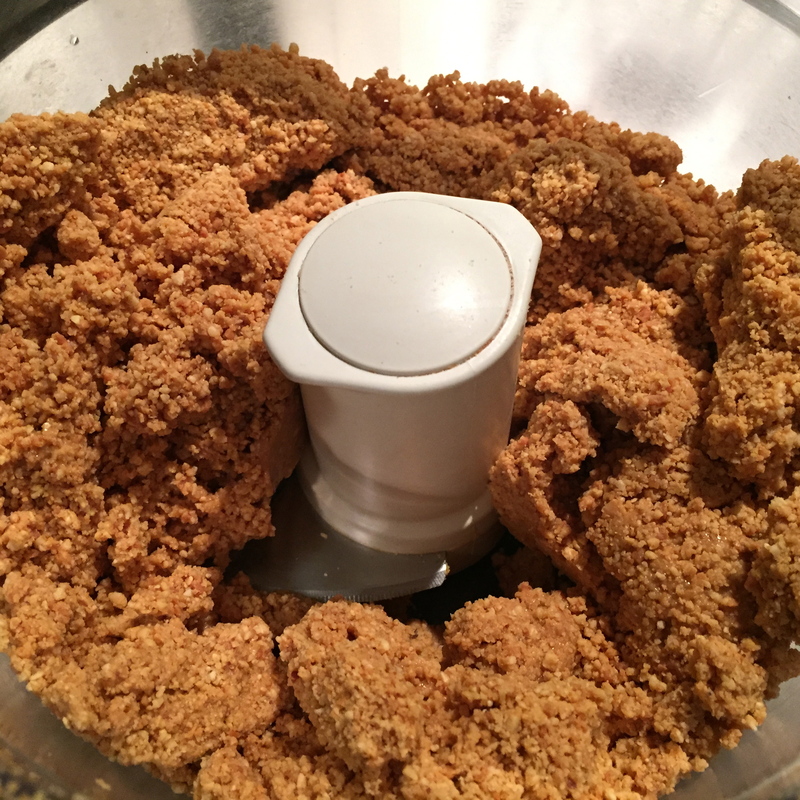 Fear not friends…it will work out, it just takes time and a bit of scraping down the sides of your food processor. Don’t judge cuz it’s clumpy…give it time!! Now we have some progress, scrape down the sides. You can see that the mixture is becoming smoother. Turn it back on and let it run for a good minute or two. If you hear it struggling to mix, then scrape down the sides again but seriously, just let it run. The blades are working really hard at making this smooth. Almost there little buddy!! I still want you to be smoother though!! At this point you might be fine with the consistency. 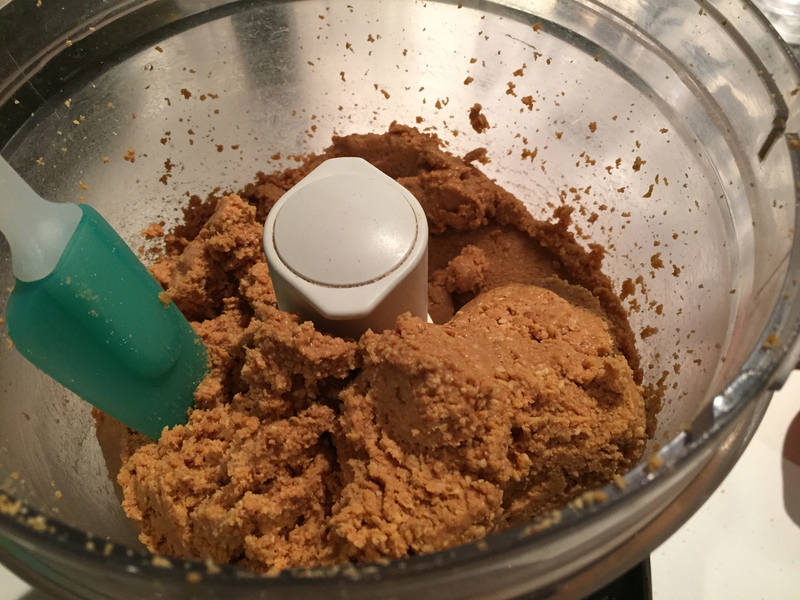 I wanted an uber smooth and creamy version so I let the food processor run until it was my desired consistency. and here we go…the finished product! 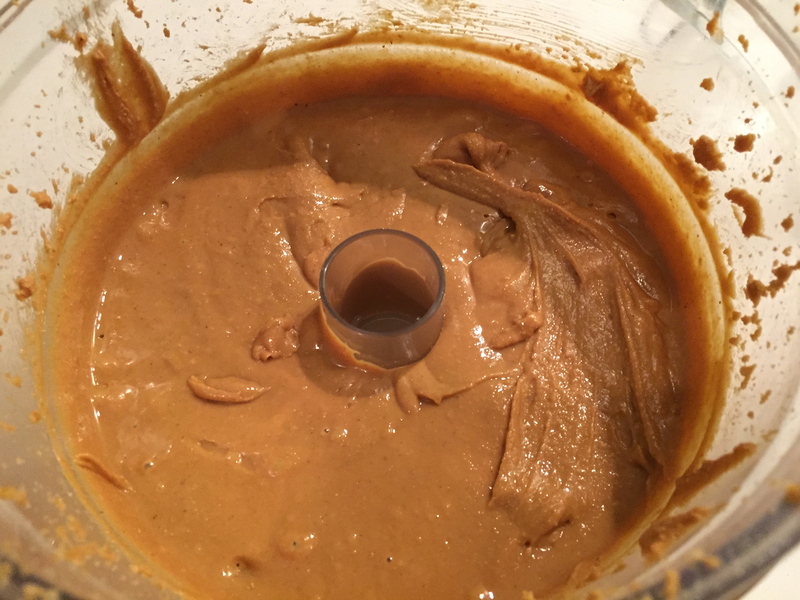 Smooth, creamy, roasted and delicious home made peanut butter using only one ingredient…PEANUTS!! This only took about 3-4 minutes from start to finish using my 10 year old kitchen aid food processor. She still works like a charm!! Pour it in to a jar or something that seals shut and place in your fridge. You are golden!! This was better than any store bought brand, seriously good. Enjoy my moody little friends! !